Join Erin Benzakein, founder of Floret and author of the award-winning book, Floret Farm's Cut Flower Garden, for Floret's next series of free video tutorials to learn key skills to grow an abundant cutting garden or build a successful small-scale flower business. The Cut Flower Garden Mini Course is offered a few times each year. The course free but registration is required. Sign up to be notified about our next course. 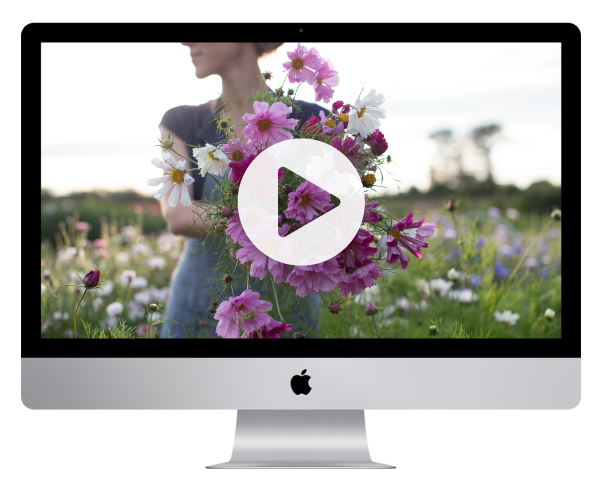 Sign up to be notified about Floret's next free Mini Course.